You want to feel confident, and look your best. But wrinkles sometimes make you look and feel tired. 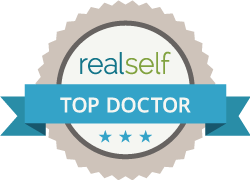 Belotero® is one of the many FDA-approved solutions expertly applied by Dr. T.G. Khan, medical director at Fort Lee and Hoboken Cosmetic & Laser Centers. Belotero can help maintain your youthful appearance. Why should I get Belotero® at Fort Lee MedSpa? The best thing about getting a Belotero treatment at Fort Lee and Hoboken Cosmetic & Laser Centers is that should any additional treatments be needed to perfect your look, we are always available to offer you a vast array of options. Call Fort Lee and Hoboken Cosmetic & Laser Centers today at 201-313-8899 to set up an initial consultation. You will be happy you called!